According to a calculation worked out by Sky Travel in 2005, the third Monday of January is the most depressing day of the year, due to factors including weather conditions, length of time since Christmas and time since being paid (for most people). The day was christened ‘Blue Monday’ and despite its origins as a press release for a travel company, the name has stuck. Blue Monday is now upon us once more, falling on Monday 21 January in 2019. If you wake up feeling a little anxious, depressed or with lower energy levels than usual, you’re not alone. Here’s what to do on Blue Monday in London to recharge your positivity. It might sound obvious, but conscious, calm breathing can do wonders for restoring peace of mind. What’s more, despite the fact we take 20,000 breaths a day on average, our worries and daily stresses often prevent us from breathing the optimal way. When done properly, though, breathing can relieve stress, anxiety and even lower your blood pressure. It’s perhaps no surprise then that transformational breathing is expected to be among the big wellness trends of 2019 (you might even wonder what took it so long to become a ‘thing’). If you’re feeling low or anxious this Blue Monday, get ahead of the trend and book into a class at a Breathpod studio. Founded by Transformational Breath Coach Stuart Sandeman, the classes are designed to help you work through any physical, mental and emotional blocks. Few experiences fuel the soul like watching a company of passionate professionals bring a story to life through songs on stage. While all good West End musicals offer this experience, you’ll want to choose wisely if you’re currently in the throes of Blue Monday. We recommend dodging the tear-jerkers and finding a feel-good musical. 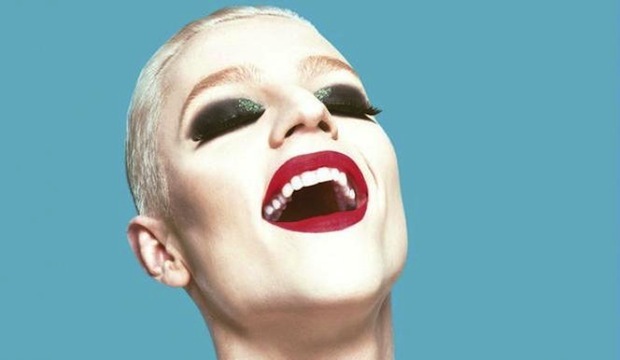 Our current top pick is Everybody’s Talking About Jamie at the Apollo Theatre on Shaftesbury Avenue. Charged with bravery, empowerment and uproarious songs, the musical follows openly gay teenager Jamie as he learns to celebrate his inner self in the face of the school bully's homophobic taunts. While having a hot bath features on almost every article on ‘self care’, hear us out; it’s not merely the act of having a bath that counts, but what you soak your muscles in. According to studies, fragrance and scent can have a massive effect on mood – so it makes sense envelope yourself with a whiff of something designed to cheer you up. One of our favourites is Aromatic Bath Salts from Neal’s Yard (£15.50); the purifying sea salt mixed with relaxing lavender from the French Alps has remarkable restorative properties. The external factors of your environment can shift the balance of your mood considerably – for better or for worse. To lift the atmosphere of your room with freshness and positivity, we recommend investing in a Sensual Zen & Orange Reed Diffuser from Loveness (£23). While to invigorate your work or exercise space, Mio’s Liquid Yoga spray (£19.50) should give you the motivation you on need this dreary day. Or, if you’re after a little bit of uplifting tranquility as you go about your day’s tasks, we recommend Life Elixirs Clarity Perfume Oil from Elemis (£28). With it’s blend of six essential oils (including cardamom and ginger) it works to clear the mind and sharpen your senses. Whether you’re a full-time vegan, a Veganuary trouper or a full-blown carnivore trying to watch what you eat, maintaining a healthy diet can be especially hard during the most depressing day of the year. So why not leave your soggy salad and murky-looking smoothie in the fridge for another day, and treat yourself to a close-your-eyes-and-sigh–worthy plate of comfort food? Wait – we’re not talking your average burger and pizza fare, but their plant-based equivalents. With so many London eateries proudly promoting their Veganuary menu, you’re likely to find all your favourite meals and snacks in vegan form if you know where to look, so you can gorge guilt-free. Vegan Oreo Pizza, anyone? It’s a known fact that laughter decreases your stress hormones and triggers the release of endorphins, the body's own feel-good chemicals. If you’ve found yourself in a Blue Monday slump, book yourself in for some belly laughs at Comedy Carnival Leicester Square. 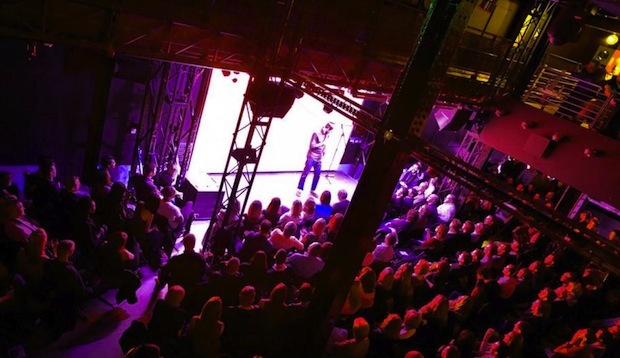 The annual festival is now in its 14th year and is known for hosting stars of the comedy scene (previous big name acts include Michael McIntyre, Sara Pascoe and Russell Brand) as well as showcasing diverse and international comedians. Let the jokes roll in and your glum thoughts fade away. In light of Blue Monday, Somerset House is hosting a late event with exclusive after-hours access to view its nostalgia-inducing Good Grief, Charlie Brown! exhibition. Created by Charles M. Schulz, the comic strip featuring Charlie Brown and friends – known collectively as Peanuts – debuted in 1950 and quickly became an international sensation. The late event at Somerset House features ‘entertainment and enlightenment’ inspired by self-help as well as Schulz. If nothing else, it’s a chance to get out for the evening and enjoy a complimentary drink as you browse Schulz’s soothing cartoons. If a bath with salts won’t cut it, perhaps a spa afternoon is just what you're looking for to knead away those Blue Monday knots. ESPA Life at the Corinthia Hotel offers 120 minutes of pure pampering, with a marma point massage to melt away the day’s tension followed by a chance to catch your 40 winks in one of its onsite sleep pods. You’ll leave feeling relaxed, recharged and ready to power through the rest of January. If all you want to do on Blue Monday is dive back under your duvet and leave it to the magic of a feel-good film to pick up your mood, maybe you should follow that instinct. While we’re not suggesting you take the day off work to pander to this desire (Blue Monday really doesn’t warrant that level of wallowing), it’s perfectly acceptable to jump straight back into bed as soon as you're home. To help you choose what to watch, here are our favourite feel-good films on Netflix.